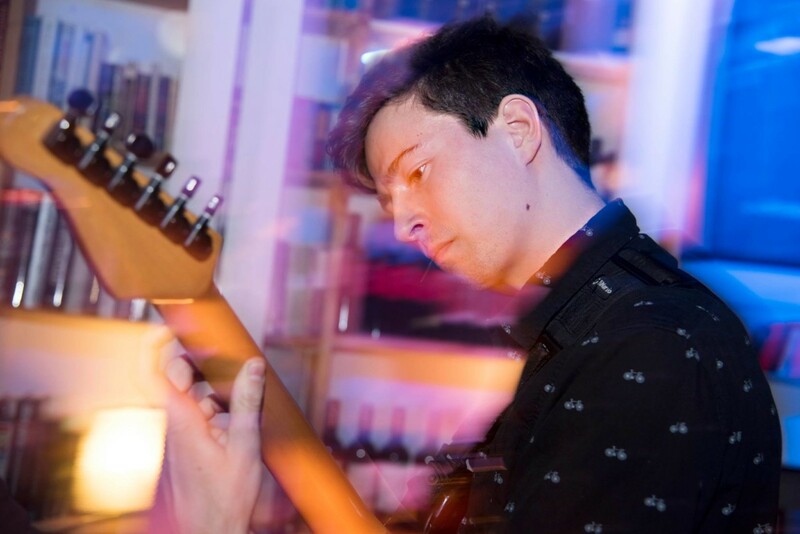 Milan Kozovski is a graduate from Humber college majoring in a Bachelor of Music with a focus on the electric bass. He is a mainstay in the Toronto music scene having performed professionally for most of his life. He is now looking for new opportunities to teach students of all ages and skill levels. 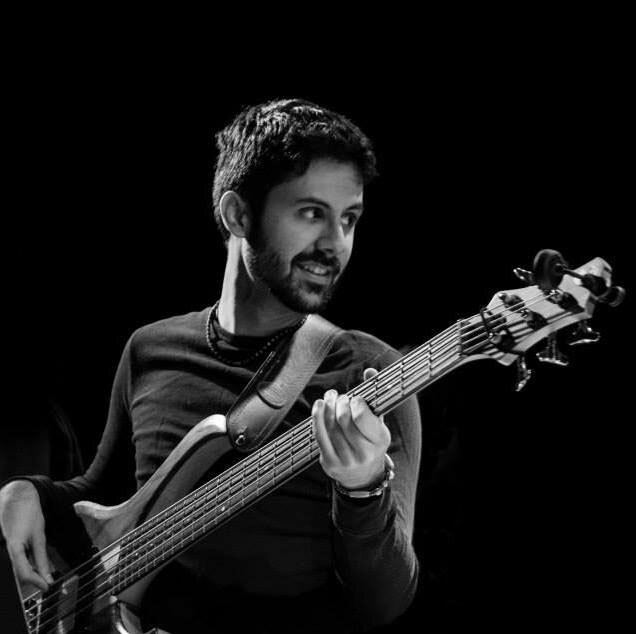 Milan picked up the electric bass at 13 years of age, he decided to pursue the instrument full time to further his education in music by attending Humber College. He graduated from the Introduction to Commercial Jazz program in 2012, earning a certificate upon graduation. Following this, he enrolled and consequently graduated from the Bachelor of Music program, specializing in the electric bass with a minor focus on the upright bass in 2016. He also took piano lessons in the Royal Conservatory of music beginning at the age of 7, receiving his grade 4 certificate. Milan has been teaching electric bass privately since 2011, and has experience teaching level piano, upright bass, and guitar. He also has in-depth experience teaching theory, and aural/ear training. He is also able to read and write music. He has experience teaching a wide variety of ages and skill groups. Featuring a background playing in various genres including, but not limited to: RnB, Funk, Rock, Jazz, Pop, Fusion, and more. He has played in bands such as Bassline (funk), Jade Mya (country), Nele Karajlic and Zabranjeno Pusenje (Rock), and more. He has studied under such luminaries as Mike Downes (head of the bass department at Humber), Gordon Sheard, Jon Maharaj, Neil Swainson, Pat Kilbride, Rich Brown, Anthony Panacci, Marc Rogers, and more. Milan is looking for an opportunity to take the next step into teaching professionally, and is eager and excited to work with students of all skill levels and age groups. 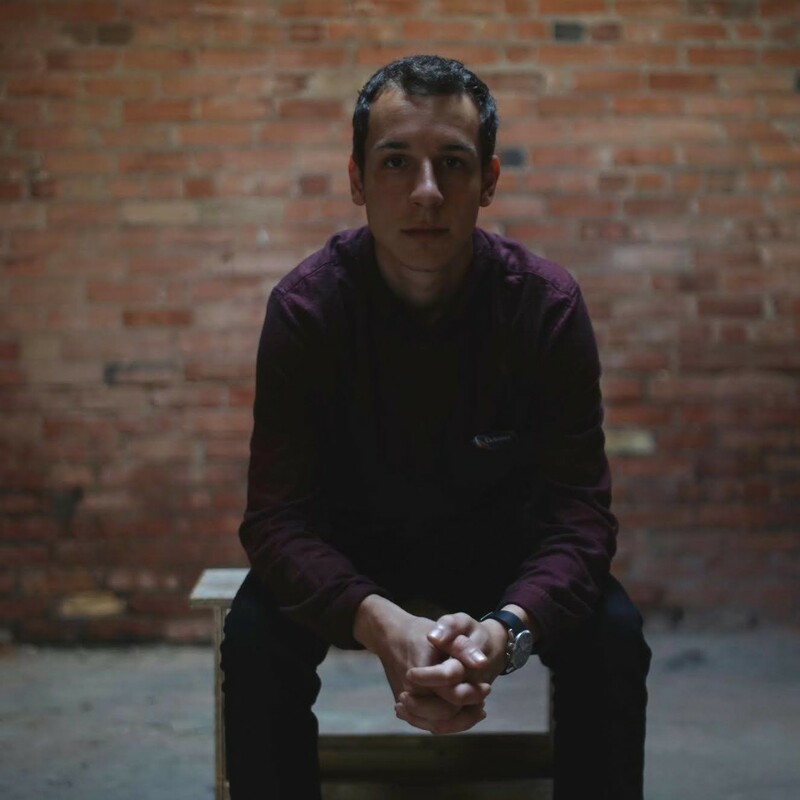 Jaden Spanier is a multi-award winning drummer raised in the Beaches area of Toronto. He began performing as a professional at age 16. He recently graduated from Humber College where he had the privilege of studying under some of Canada’s top musicians, most notably Larnell Lewis and Mark Kelso. Jaden is known for being a versatile performer. He performs in Rock, Jazz, Funk and Pop groups. Jaden has appeared on over 20 album recordings and is known for his studio session work. Jaden is a passionate teacher and enjoys working with all levels of students. 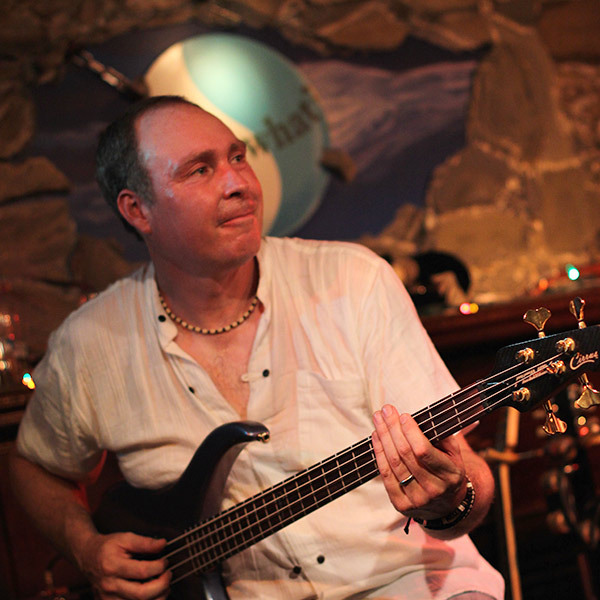 David Maclean is a Canadian born musician, competent on both upright and electric bass. He has received a bachelors degree in Jazz performance from Humber College, where he received the Yamaha Canada Music, Ltd Award. Mainly working in Toronto, he has also toured the US and Europe. David can be seen performing in Toronto regularly with groups such as Art the Band, the Dirty B-sides and Game.Set.Trap. He has also performed with artists such as Adria Kain, Spek Won, Shi Wisdom, Dan-e-o and Maestro Fresh Wes to name a few. 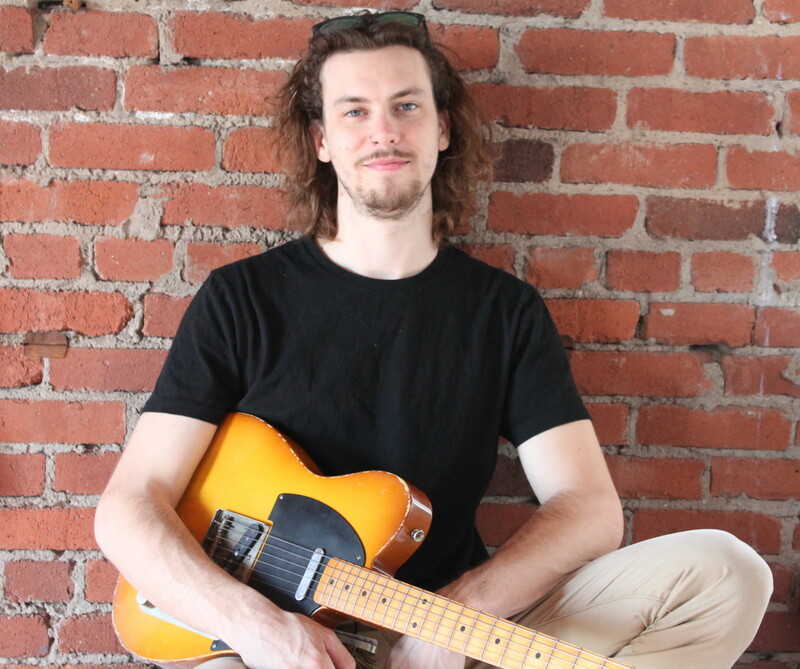 Sean Clarey is a Toronto based Guitarist, Producer, and Multi-Instrumentalist. Sean Tours, Performs, and records regularly with ‘ART the Band’, ‘Shipley Hollow’, ‘Angles Jackson’, ‘The David Diao Quartet’, and his His Trio ‘DRONECON B’. Sean attended Humber College and has performed alongside Larnell Lewis, Luis Deniz, Ahmed Mitchell, Andrew Stewart, Christian McBride, Larry Goldings, Donny Mccaslin, Lorne Lofsky, Ted Quinlan, Robi Botos, and other notable artists. Sean has performed at Toronto TD Jazz Festival, Newmarket Jazz Festival, RCK Pro Jazz, CMW, NXNE, Indie Music Week, and myriad other Festivals both Canadian and International. Sean began studying music formally at age 5. Sean is the recipient of the ‘Kim Mitchell Scholarship,’Kevin Mackle Memorial Scholarship’, and the ‘Gordon and Anne Wragg Scholarship’. Ted Quinlan has described Sean’s playing as “Effortless, with great fluidity”. Hailing from Red Deer, Alberta, David’s musical life began with piano lessons from his mother, as well as being part of an elementary school choir. Once in middle school, he took a hiatus from piano and voice to explore saxophone and drums. Oddly enough, his drumming led to him joining the high school choirs, at which point his love of piano and voice was reignited. 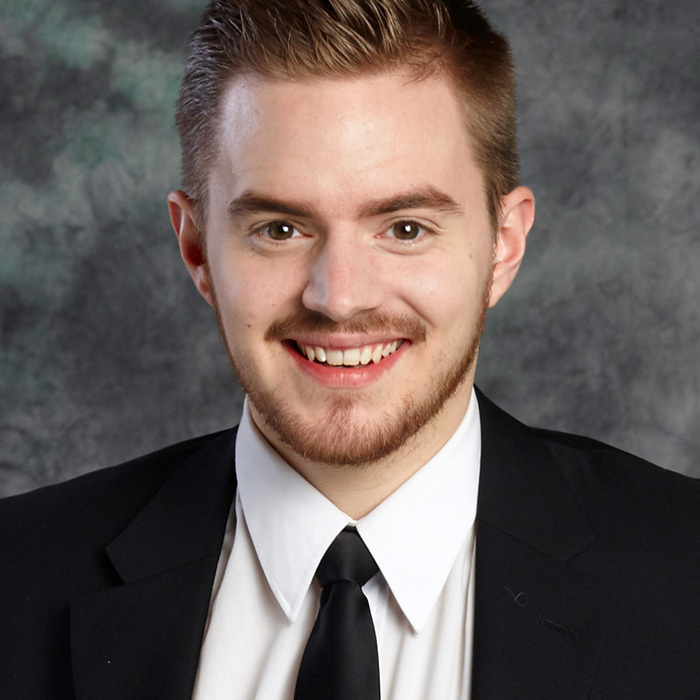 After high school, David left Western Canada to attend the School for Music Vocations in Iowa. It was here that David developed a love for jazz piano and voice, as well as small ensemble vocal jazz singing. David went on to complete a Bachelor of Music (First Class Honours) in Jazz performance at St. Francis Xavier University in Antigonish,Nova Scotia, majoring in voice and studying piano as a secondary instrument. While at St. FX he also sang and played shows in a variety of student-led projects, ranging from beatboxing (a natural merging of his love of voice and percussion) in a hip-hop group, to playing keys and singing in a Funk band. 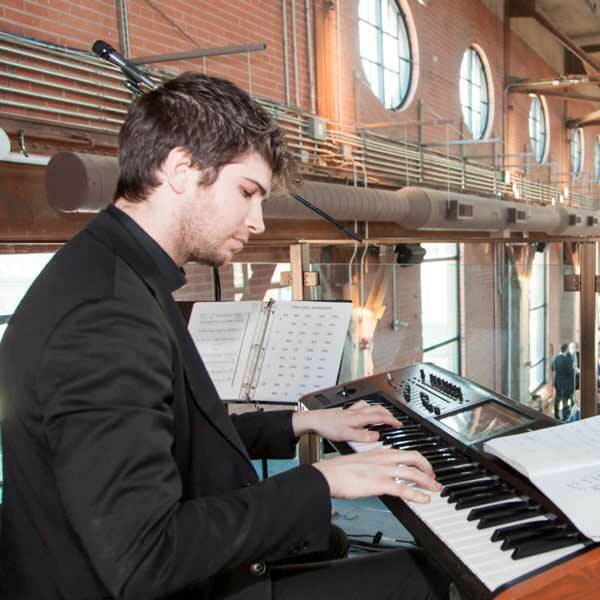 He went on to obtain a Bachelor of Music Education from Memorial University in Newfoundland, and has now settled as a performer and teacher in the Greater Toronto Area. Jessica Frangini-Salvo is an outgoing and engaging young songwriter and performer based in Toronto. 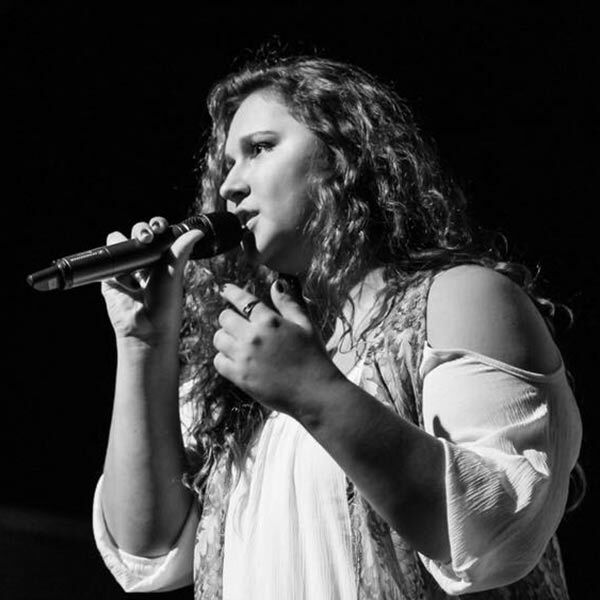 She recently recorded an album with her group, The Sky Valley Band, which to her excitement is generating a loyal following. She is currently working on an EP with her other band, MajOrJam. Growing up in the small town of Port Perry, Ontario, Jess listened to a lot of classic rock and country. Since moving to Toronto to attend Humber College she has been able to indulge in different genres. She likes to sing all genres but focuses mainly on soul (voices similar to Joss Stone or Rachelle Farrell). Being at Humber, Jess has had the privilege of working with some well known artists, such as Denzal Sinclaire, Yvette Tollar, Lisa Martinelli, Shannon Gunn, Collin Barrett, Waleed Abdulhamid and the late/great Christine Glen-Coussee. She believes that music is important to learn or be introduced to early in life because it can be very therapeutic and help express/channel creative thoughts and emotions. She loves all things music and believes everyone should have more of it in their lives. This past year, Jess was honoured with the “Girls Night Out Jazz Award”, collaborated with Snarky Puppy, performed with Masini McDermott, showcased in multiple festivals (including the Sarnia Music Festival), sang back ups for Toronto’s well known indie-pop band, Valley, and is looking forward to collaborating with many talented musicians in the near future. She hopes to teach her students all that she possibly can. 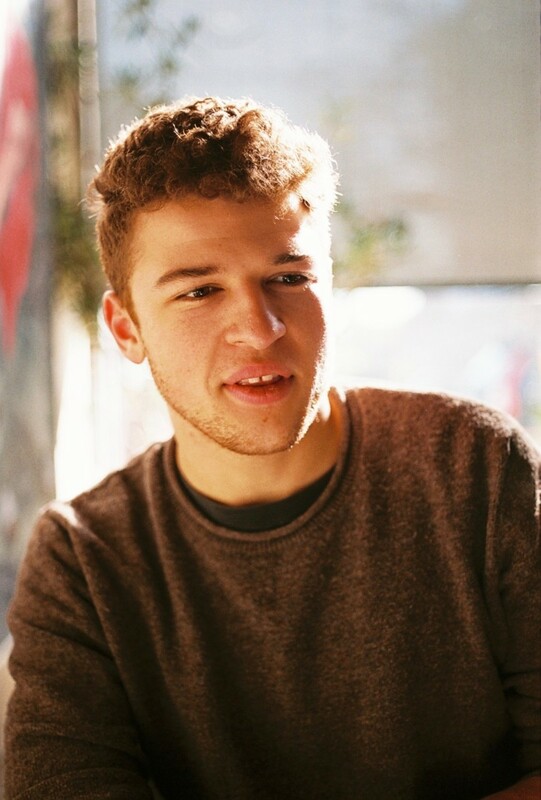 Juno nominated pianist Sam Kogen is an honours graduate from Humber College’s Bachelor of Contemporary Music where he studied with established and well-respected Canadian musicians; Pat Labarbara, Robi Botos, Kirk MacDonald, Geoff Young, and Mark Kelso. With 9 years of teaching experience, Sam has taught students of all ages, both as a clinician and a private instructor. His focus is to encourage students to play the music they love, but also to explore what might be unfamiliar styles as a way to stretch their knowledge base and their performance/composition skill level. 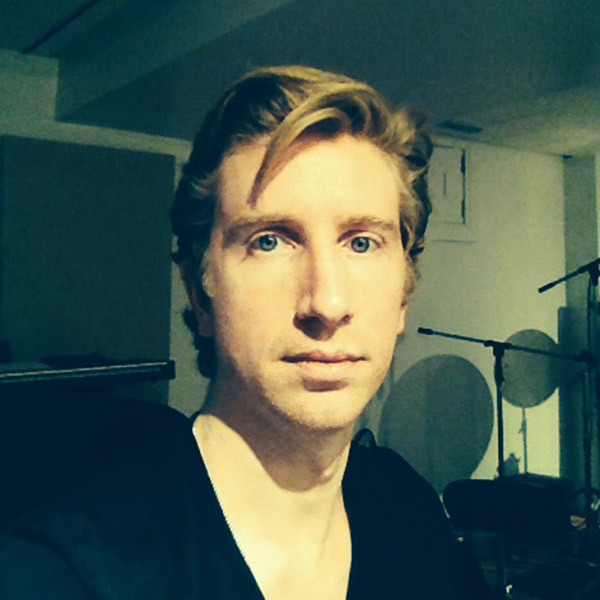 Sam is also active as a freelance performer, producer and composer. He performs regularly in Toronto as a soloist and as a member of several bands and jazz ensembles, including, indie rock/modern /jazz group Midcoast; The multi-award winning Brad Cheeseman Group; neo-soul/hip-hop artist Ashe, and The Snooky Tynes Soul Express. Sam recently released an EP and continues to compose and produce new material for his original project SO-GO-DO. You were the first teacher hired after Dave started Beyond the Beat. What were the early days like? At the time we started, it was really a lot about (and it still is) the showcase performances. We had so few people, that we conscripted the students into doing all parts of the shows together. What we discovered was how effective it was to treat the school like an integrated community of musicians that all know each other, as opposed to separate students aiming for separate performances by time slots. Now the team is much bigger but any chance we get to have the students working together, that’s what we do. Why is the performance element so important? If there’s one defining thing about Beyond the Beat with respect to how we work with and treat the students, it’s that we’re trying to closely approximate real world experiences. In the sense that this is precisely what you might encounter in the music industry, in your local music scene, working with other musicians in the studio or at live gigs. We try to make it as pressure-free as possible, but I see it like if you can conquer that public performance at this age, there’s not that many things you’re going to run into along the way in terms of an adult that are going to freak you out. Because the students learn you don’t always know what’s going to happen until you get on stage, and the students here take on the challenge fearlessly. Their courage is amazing and I see what their success on stage does for them. It does something for you too, then? Yeah I always wonder would I have been able at a young age to get up on that stage and do what they do? I’m constantly learning important new lessons because of how different all these kids are. I love the experience of starting to work with a student who comes in, and is maybe particularly shy or averse to playing with other people musically, and it’s amazing to see how much they can exceed their own expectations through little consistent, supported steps. At Beyond the Beat, the goal isn’t perfection, it’s to see what happens when you get up and try. I’ve always been shocked seeing new students get up and perform, they realize it’s something they can do, and it becomes one of their favourite things to do very quickly. I have taught private lessons for several years now and I would say that it’s become obvious to me that I have a unique opportunity here because I don’t have to teach a curriculum here. I can actually teach every lesson as an individual lesson for this individual. And because of that I learn a lot about them and why they’re here and then I learn about why music, why do they like it enough to show up here and do this. And that’s the curriculum. It’s being written by their perceptions (of music) and how they’re being communicated to me. It’s exactly about paying more attention to what the student wants. To be clear, there’s no way around learning technique when you’re trying to play a musical instrument, but the question is why are you learning the technique, what is it that you want to be able to achieve, and how do we get you there. I teach a series of integrated steps that will get you there, but that’s how I approach it from the outset. For those that are interested in music that might be more technically demanding, that often grows naturally with those students because they become interested in the music first. They say, it’s hard and I say, yes, but you can do it. That’s the best thing for me, when I see kids trying a song that they first heard and said. I can’t play that, that’s way too hard, that’s insane. And I say, okay but let’s look at it. At a certain point, they’ll try it and if they commit to it long enough, I promise you, they get there. And when they get to the end of learning that song, the change in them as a person is significant. They see how far they’ve come. It’s an amazing feeling for them to master a song that’s an order of magnitude greater than anything they’ve played before. There’s so much more confidence and a more relaxed approach to any other challenge they want to take on after that. That experience is shared across the board, whether they’re learning an instrument, creating original music or beat making. You’ve been here about ten years. What is it that keeps you at Beyond the Beat? This is a rare place. I attribute it to the community element, the kids and the parents that attend the events, and the general vibe in the school and at the shows we all put on. The students are supported. I don’t quite know how to quantify it but we’ve got a really cool team of teachers and students and I really do feel like it’s a unique group of people who come here. We all really do get that. John Allen leads the beat making program at Beyond the Beat. Find out more about Beat Making here. I am the owner of a music school and a parent. My children have brought me face to face with the challenge of inspiring young people to learn music. Teaching them has been eye opening and I have at times found myself baffled. It’s been humbling to say the least. It occurred to me that other parents might feel challenged as well. I would like to offer some personal discoveries in hopes of fostering a healthy philosophy that works for parents and their children on the life changing and spiritually powerful experience of learning music. At the end of the day, a young musician must want to play music for personal reasons. It must fulfill their own idea of growth. Simply put, our job as parents and teachers is to not ruin the student’s experience! This is fundamental to everything I do as a teacher. The problem is that a music student in the early stages of learning an instrument is limited in their ability to express themselves and can lose confidence. Any lack of self-confidence, coupled with feelings of guilt about not practicing enough or fear in disappointing a parent, inevitably creates a real barrier to success. Other activities that promote better feelings inside quickly take priority. A sad and early end to what could have been a magical and life changing musical journey is the result. The key to success on our part as teachers is to remain highly sensitive to how the student is reacting to the music they are learning. Finding songs that they love and breaking those songs down into truly enjoyable parts to practice and play together always works. 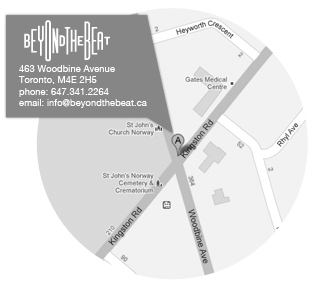 A mentor of mine once said to me, “Go to the music they love, and they will love music.” Those words are the cornerstone of our philosophy at Beyond the Beat. Our primary goal is to nurture the love of playing music in each and every student who walks into the studio. Teaching and learning music is a rich and rewarding experience for all at Beyond the Beat.